Not many bands can follow up one Masterpiece with another unrivaled Masterpiece. Certainly not after the death and replacement of their longtime Frontman. Most bands would be thrilled with a solid or even decent album under such trying circumstances. 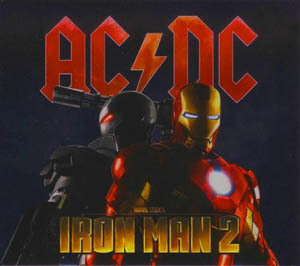 Instead Australian Hard Rockers AC/DC emerged with their second straight Magnum Opus in Back In Black, this album is nothing less than a towering testament to furious Guitar thuggery writ very large. Guitar World magazine ranked it as (I can't quite recall) either the number one or two Guitar album of the 80s and no wonder. Angus Young blazes forth with one earthsplitting riff after another on Back In Black. It's a truly incredible assault upon the ears. Hell's Bells is ungodly in it's power, Shoot To Thrill is a chainsaw assault, the title track is the most badass Guitar riffing song EVER, and Have A Drink On Me and Rock and Roll Ain't Noise Pollution are bona fide classics. This album is a burner, own it now!